So you need airborne imaging? Whether it is real estate imaging or more complex mapping and 3D modeling there are some important things you need to know before you hire a company. With the proliferation of drones over the past few years many people have entered and started up aerial imaging companies. However, many people don’t know that with this proliferation the federal government has stepped in to help regulate the industry. So what do you need to know before you hire a drone company? Before we get into the “What to ask”, let’s look at a little closer at what sUAS/UAVs or more commonly referred to as “drones” really are. The Federal Aviation Administration (FAA) refers to these aircraft as small Unmanned Aerial Systems (sUAS) — a broad term that covers a range of designs from the tiny quadcopters you often see on store shelves to larger fixed wing propeller aircraft. sUASs also come in a variety of sizes from being able to fit in the palm of your hand, all the way up to aircraft with gigantic wingspans. The key here is that the FAA refers to all of them as “aircraft” — no different than that of a manned aircraft. Thus the FAA has created a set of regulations for these sUASs and their operation in the United States Airspace. So now that you know a little about what a sUAS or drone is — what should you be asking an operator before you hire them? 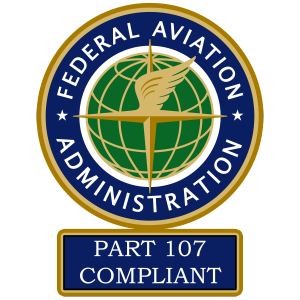 As mentioned earlier the FAA regulates all United States-based aircraft that operate in the federal airspace of the United States. This means any aircraft (manned or unmanned) that takes off is regulated by the FAA. For the purpose of sUAS’s, as of Dec 21st 2015, sUAV that weighs more than 0.55 pound and up to 55 pounds must be registered and display an FAA registration number on the aircraft. The key here is that every sUAS that will be flown outdoors, whether for recreation or commercially, must be registered with the FAA. 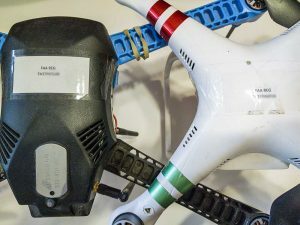 Thus one of the first questions to ask, is to see if your operator has registered their sUAV with the FAA, and ask for the registration number. This is probably one of the most important questions to ask of an sUAS operator before you hire them. While most insurance companies check the licensing status of operators prior to issuing insurance, not all insurance companies will. Don’t only check for insurance. Like your automobile most insurance companies create policies for sUAV’s based on size and the potential risk for damage. In the sUAV industry an operator will typically carry no less than $1 million in liability coverage depending on the operation. Make sure you only hire an insured operator and ask to see their insurance documentation. If you hire an uninsured sUAS operator commercially and their operations cause harm or damage, you, the client, could be targeted by the harmed party for compensation. We use Verifly for most small projects, but have policies available to cover larger projects and higher liability amounts. Are your aircraft registered with the FAA? Are you a licensed sUAV pilot? Why is it so important to ensure that you ask these questions before hiring an operator? 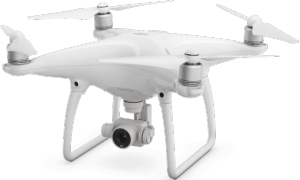 Remember that with the accessibility and affordability of “drones” today many people have purchased equipment unaware of the licensing and federal regulations governing the commercial operation of drones. This could leave you or your company exposed to possible liabilities in the event of an accident. Always check that you are hiring a fully licensed and insured sUAS/Drone operator.